I have a permanent showroom upstairs at the De Danann Antique Centre on London Road in Dorchester, Dorset. 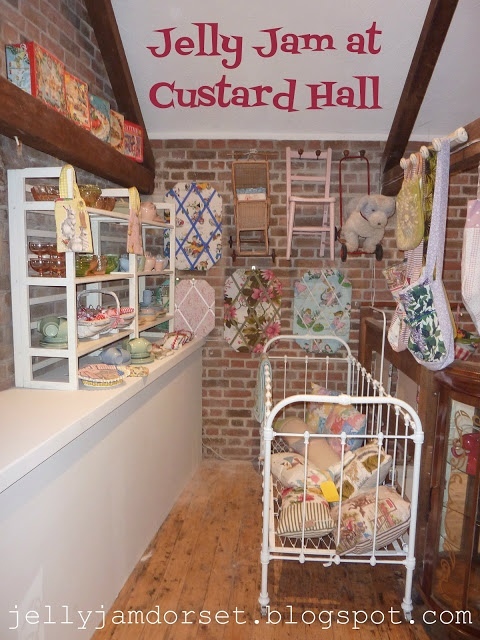 Here you can see a range of beds, soft furnishings as well as other pieces of furniture and vintage toys. All items are one offs so the stock is continually changing. If you are looking for something in particular or would like to commission a quilt please use the Contact Us link above. 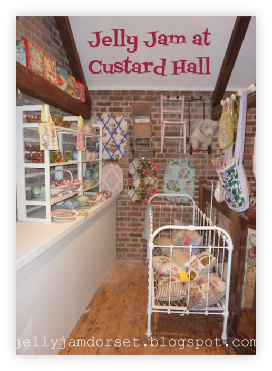 Jelly Jam items are also available at Custard Hall vintage and retro located in Antelope Walk, South Street, Dorchester.